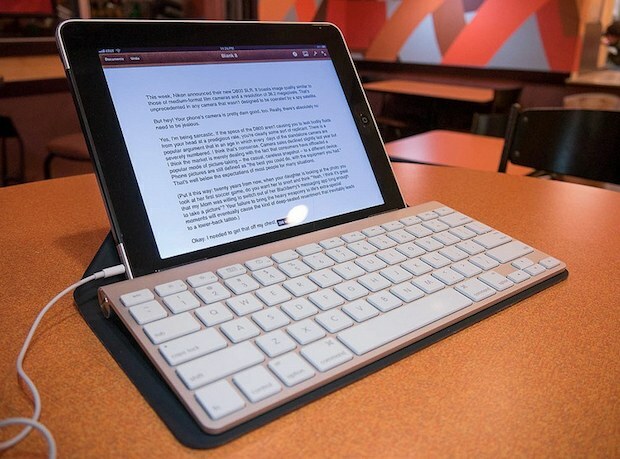 Want to use an external Bluetooth keyboard with the iPad? You don’t have to use Apple’s official iPad keyboards, instead if you already own a Bluetooth keyboard the chances are good that it will be compatible with the iPad. If you’re looking to do a lot of typing on the iPad then it’s hard to beat a real external keyboard, as the touchscreen is generally just slower and less accurate for many iPad users. 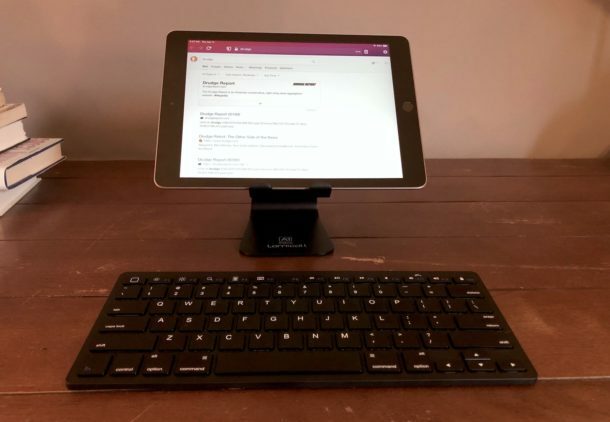 To get a Bluetooth keyboard connected to iPad, all you need to do is pair the device to the iPad and adjust a few iOS settings, we’ll walk through exactly how to do just that. 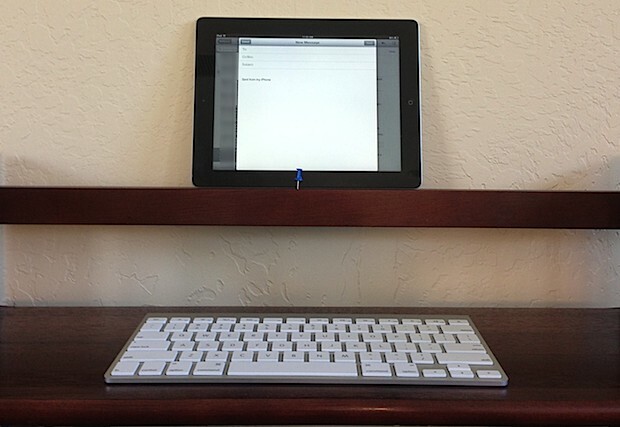 This method will sync any Bluetooth keyboard with any iPad model, for use as an external keyboard. Once the Bluetooth keyboard has been connected and paired with the iPad, you can use it as your primary text input device, anywhere that you would normally type on the iPad. Launch any app where the virtual keyboard would normally appear and you can type with the external keyboard instead, and best of all, the virtual keyboard stays hidden when a wireless keyboard is connected, clearing up considerable screen real estate on the iPad screen. Another great thing about this feature is that you can use almost any existing bluetooth keyboard with the iPad and you’ll be completely wireless. Plus you get the benefit of being able to rotate the iPad to either vertical or horizontal mode and still use an external keyboard, something you can’t do with some particular keyboard cases, the Smart Keyboard, Apple’s iPad keyboard dock, and some others. Additionally, using external keyboards with the iPad will introduce a variety of very helpful keyboard shortcuts for navigation that are not otherwise accessible on the software virtual keyboard of iOS. If the keyboard is not listed in the iPad Settings Bluetooth section, check to be sure that the keyboards batteries are adequately charged and that it is in pairing mode, both of which may prevent the device from appearing in the Bluetooth menu on the iPad. Many Bluetooth issues are simply a matter of having either too low of battery power, or no battery charge at all. Changing and charging batteries is often a simple remedy. Another possibility is that the Bluetooth keyboard is incompatible, though this is fairly rare and typically only applies to much older keyboards from the PC world. This can apply if the keyboard doesn’t fit the ‘Bluetooth Human Interface Device Profile’ that allows for compatibility with iOS, but most newer Bluetooth keyboards do so the chance of you running into one that doesn’t is relatively slim unless it’s a pretty old keyboard from the Windows world. With all this in mind, it makes a lot of sense to get a nice Bluetooth keyboard that you enjoy using and that you like typing on. There are many options, but if you have several different Apple products you may like the Apple Wireless Keyboard since you’ll be able to use it not only on your iPad, iPad Pro, or iPad Mini, but also any other Mac, and even the iPod touch and iPhone. Yes, that’s right, you can turn the tiny little iPhone or iPod touch into the worlds smallest workstation by connecting an external wireless keyboard to either an iPhone or iPod device too. Also, if you have a newer Apple TV, you can even sync a bluetooth keyboard to that as well and use it as a way to control and search your media. This makes one of the Apple Wireless Keyboards an excellent purchase, since it will work flawlessly with quite literally just about any Apple product, whether it’s an iOS device, Apple TV, or Mac OS X based Mac you have in the house. iPad Pro. Have bluetooth paired an apple wireless keyboard with it. Show up under Keyboard Hardware and just a check mark for Dvorak. and how wonderful the Smart connection eliminates pairing. keyboard needs not be attached magnetically or otherwise.